Variously defined as a lighter shade of red or a hue between red and purple, pink has become a fundamental color term in the English language. The symbolic use of pink is ubiquitous in modern culture, but many of its most deeply-ingrained meanings in the west are not even Older Than Steam. Pink, this past century, has usually been associated with femininity (especially young girls), romance, love, and cuteness. Prior to the 1940's however, pink was largely seen as a masculine color due to it being a shade of red. 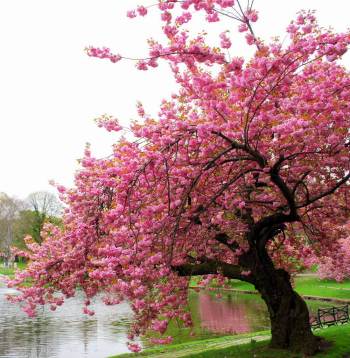 In Japanese culture, it is the color of blossoming cherry trees, and as such associated with springtime and rebirth, but also death. If you were looking for the pop singer P!nk, go to her page.